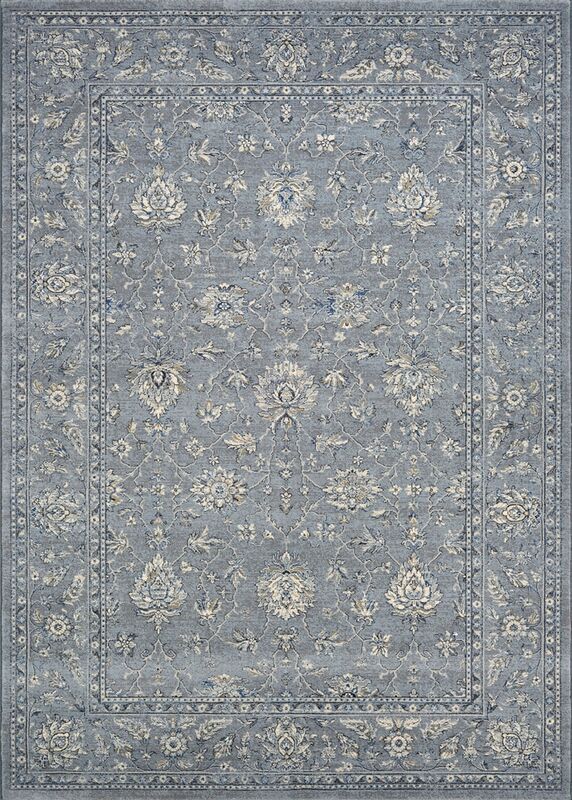 Couristan Sultan Treasures All Over Mashad Slate Blue Area Rugs All Over Mashad Slate Blue / 7'10" x 11'2"
All Over Mashad Slate Blue / 7'10" x 11'2"
Discover the elegance and allure of handmade area rugs in a Persian-inspired, power-loomed collection called Sultan Treasures. By pairing traditional designs with rich, modern colors, this collection's updated look will beautifully adorn the floors of traditional, as well as transitional interiors. Face-to-face Wilton woven, Sultan Treasures, is artfully crafted of 100% heat-set Courtron polypropylene for long-lasting performance and appearance retention, while allowing for elaborate detail and the use of a myriad of colors. Each area rug in the collection offers a soft and luxurious surface pile that features 1 million points of yarn per square meter. With their extra sense of elegance and usage of color that adds a modern twist, the timeless beauty of these treasured power-loomed possessions will offer the perfect foundation piece for traditional and classically styled interiors within your home.